Read our Telegraph article to find out why. Are you being prosecuted for a motoring offence? A very significant number of prosecutions are defective. The trick is to find the defect. A good firm of specialist lawyers may well be able to help. It's time to get angry. Department for Transport (DfT) is following a road safety policy that they no longer believe in because they would rather save face than save lives. I'm quite sure that they used to believe that 'speed cameras saved lives', but in the last few years that's changed. 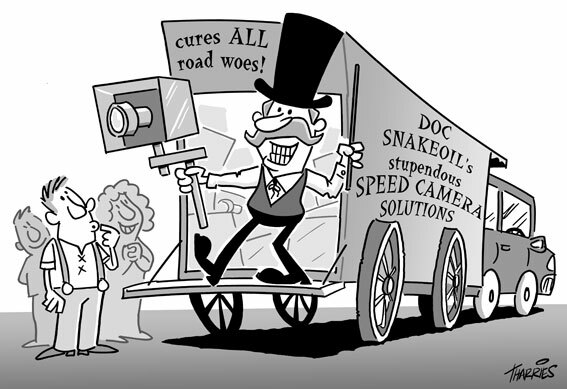 In May 2005 they decided that speed camera side effects needed to be researched. In December 2005 they discovered that neglect of a statistical bias had exaggerated the main benefit of speed cameras by 400%. The claimed '100 lives per year saved at speed camera sites' is downgraded to 25 lives saved. In June 2006 they discovered that the ongoing beneficial trend in road crash serious injuries was just a feature of the way these crashes are reported. Hospitalisation statistics don't show the same trend. Road deaths don't show the same trend. In September 2006 they discovered that the proportion of injury crashes involving any speeding vehicle nationally was only 5% - not the 'one third' that they had previously claimed. In 2007 it gets nasty. In January the new funding for speed cameras was announced as grants given to local authorities. They quite deliberately chose not to ring fence the funding in the full knowledge that this will lead to a budgetary squeeze that will help speed cameras to fade away. There's also a transfer of responsibility for cameras away from DfT and towards local authorities - that's because DfT don't want the flak. In March we learned via Freedom of Information request that the speed camera side effects research (announced in May 2005) had been axed. It is inconceivable that the side effects DON'T cost more than 25 lives per year, meaning that speed cameras are making road safety worse. But DfT doesn't want to hear this, which is the only possible reason for axing the most important research. So here's the truth. Speed camera policy has failed catastrophically. Department for Transport KNOWS that it has failed but won't admit their deadly mistake and pull the plug. They seem to be hoping that speed cameras will fade away over the next five years, yet they know that the policy isn't working and is costing lives. If that's not a reason for road users to get angry, I don't know what is. - You can help us by joining the campaign or by donating. I can't stress enough how important this is. We're on a shoe string budget and desperately need better funding, but we're right at the forefront of putting this mess right. We're fighting against massive resources and need all the help we can possibly get. - You can sign our 10 Downing street petition to 'scrap speed cameras'. At the very least this will help us to highlight the need for far better information, and ultimately for road safety policies that work. - You can write letters to newspapers or to your MP. - You can find out more by exploring this website or by joining the forums. Whatever you do, don't do nothing, don't leave it to someone else and don't put up with it. It's time to get angry. "We can only imagine that they would rather save face than save lives"
"While I still have this little soapbox, I would like to urge all of you to throw your weight behind two organisations: The Association of British Drivers (www.abd.org.uk) and Safe Speed. They talk an awful lot of common sense, and heaven knows we need a voice right now." Supporters of speed cameras will say that even 5% justifies their existence. But critics, including the Safe Speed Campaign and this newspaper, who believed the government's simplistic single-solution approach to road safety was actually counter-productive, have also been insisting for years that cameras could themselves be a contributory cause of accidents by distracting drivers. This view also now seems to have been largely vindicated by the DoT's findings. 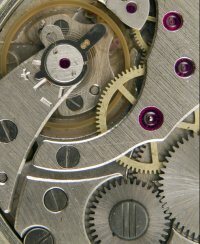 Road safety is complex, subtle and sensitive like a precision built clock. After over 100 years of living with motor transport we have learned much about how to manage enormous potential danger on our roads. We have learned as individuals, we have learned as engineers and we have learned as a society. Road safety is finely tuned and balanced and for the most part works very well indeed. A speed camera is a blunt and heavy instrument, like a hammer. It has far reaching effects. It changes driver behaviour. It changes everyone's safety priorities. It changes the way the roads are policed. It has done immeasurable damage to the police / public relationship. 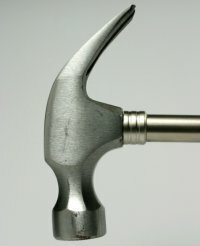 Far from being a precision tool, it's the equivalent of a rather heavy and badly aimed hammer. Speed cameras are obviously bad psychology. Would you use a hammer to fix a clock? Would you use a speed camera to improve road safety? Neither would we. They are both the wrong tool for the job. But with the hammer it's easy to see the damage. 'We're here to save lives." No one can use Bath station without seeing this slogan blazoned everywhere over the floors, advertising something called the Avon & Somerset Safety Camera Partnership. A year ago I reported here on attending one of its "Speed Camera Workshops". The message dinned into us for three hours was that "speed" is responsible for a third of all traffic accidents; that the definition of "speeding" is breaking a speed limit; and that, therefore, by stopping drivers speeding, speed cameras were saving large numbers of lives. Fortunately, thanks to a detailed brief from Paul Smith, the road safety expert who runs www.safespeed.org.uk, I was able to show how every single statistic used to support this case was wrong. And now the Department for Transport (DfT) has finally published new figures that support Mr Smith, and show that the number of accidents involving motorists breaking a speed limit is only 5 per cent. Paul Smith, founder of the Safe Speed road safety campaign said: "I have been saying that Department for Transport is 'institutionally unable to understand the process of safe driving'. The single best thing we could do for road safety right now is to stop all work at DfT for just one day and require everyone there to read MIND DRIVING. At the end of the day there will be light." Driving is the most dangerous thing that most people do. This book explains how drivers can dramatically reduce the risk. Expert drivers use a lot more than conventional driving skills. The key is not just in what they do but, crucially, how they think. This has always been the most vital part of safe driving, but no one has found a way to explain the mental processes involved. 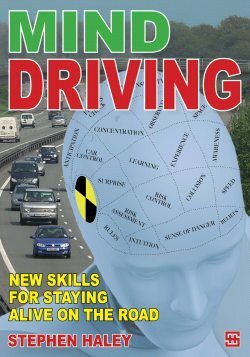 "Mind Driving" explains how expert drivers think. Revealed for the first time are: what really causes danger on the road, how to control the danger, how to make life-saving decisions, and how to enjoy driving and do it safely at the same time.